IDEA: A live pony, the pet every little girl dreams of, is lovely and sweet and the perfect Christmas gift. But no—actually, it's a violent little monster who will tear your home apart, then gallop off righteously into snowy oblivion. Venables Bell & Partners' new holiday ad for eBay offers just this trajectory, as a well-meaning dad buys a Shetland pinto for his daughter. When that goes spectacularly wrong, a quick-witted mom saves the day by ordering a plush pony from eBay's Toys R Us store. The ad achieves a few things: It shows eBay has the hottest new toys, that its mobile app is ready when you are, and that the company knows what families go through at the holidays. "Parents often put tremendous pressure on themselves to find perfect presents for their kids," said Deirdre Findlay, senior director of consumer marketing at eBay North America. "This spot uses humor to show that even the best intentions can sometimes go awry, and there's an easier way to make the holidays merry with eBay mobile." 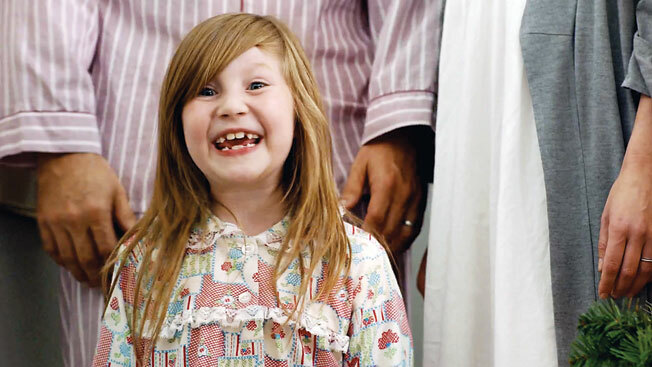 COPYWRITING: Mom and Dad lead their daughter down the stairs on Christmas morning. "A pony!" she screams, seeing the animal in the living room. But things quickly fall apart as the pony does a freaky spin, kicks out a window, mauls the Christmas tree and flees down the road. Mom whips out her phone and quickly pulls up FurReal Friends' Baby Butterscotch. "A pony!" the girl screams, delighted again. "OK. Who wants waffles?" says dumb Dad. VB&P creative director Lee Einhorn has three daughters, so the plot was a natural for him. "I'm 'Uncle Daddy' at home—the fun uncle who's supposed to be the dad," he said. "The spot kind of wrote itself after a while. Dad is sort of the anti-hero. Target-wise, Mom had to be the hero, along with the mobile app." The spot closes on the voiced tagline, "When it's on your mind, it's on eBay," the new eBay logo and the ebay.com/toysrus URL. TALENT: The agency used Shetland ponies. "They look really sweet, but they're actually kind of mean," said Einhorn. "We used three ponies that looked similar: One was a kicker, one was a spinner, one was a runner. We would swap them in to get the kinds of destruction we needed." Trainers handled the animals, and the Humane Society was on hand to monitor them. The human actors are meant to look like an "all-American-ish family," Einhorn said. They couldn't look too comical, or it would steal the joke of the surprise. Einhorn said the girl was particularly adept at "screaming like a banshee over and over." ART DIRECTION/FILMING: Director Matt Aselton shot the ad at the Warner Bros. Ranch in Burbank, Calif. (The Griswold house from Christmas Vacation can be seen across the street.) Snow-making company Snow Business blanketed the outside with fresh flakes the night before, but it rained and they had to do it again in the morning. The agency dressed the entire house for Christmas. The pony kicking out the window was a real shot, though it was "Hollywood glass" made of sugar. The trainers and other extraneous visuals were removed in post. The furnishings and wardrobes feel aspirational. "We were trying to be a little bit Brooks Brothers with the dad's pajamas," said Einhorn. The spot is "super Hallmarky" at the outset, he added, "so we can yank the rug out, and then come back to this sweet little family again at the end."